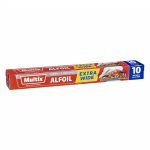 Multix Alfoil Extra Wide is strong and reliable. Size: 10m x 44cm wide. 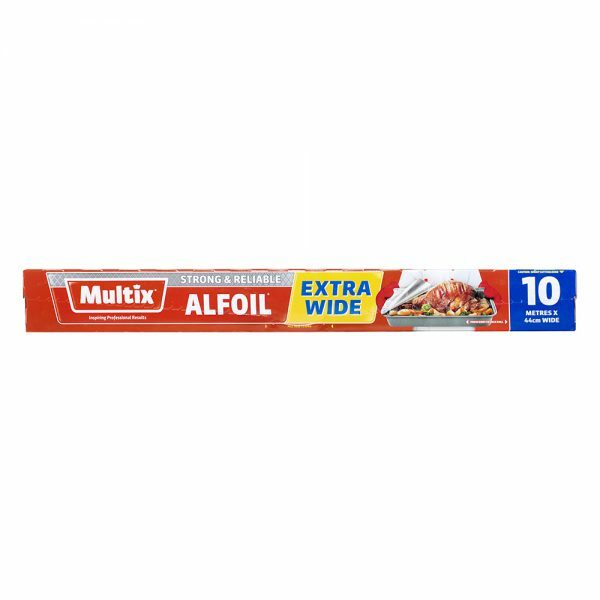 Multix Extra Wide Alfoil retains flavours and moisture for large dishes. Keeps larger food safe and fresh and helps prevent food from over cooking. 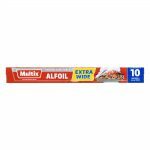 For storing food, allow to cool before covering with Multix Alfoil Extra Wide. Either side of Multix Alfoil Extra Wide can be used. Read user manual before lining oven walls or using Multix Alfoilf Extra Wide in a microwave. Do not cover stainless steel dishes with Multix Alfoil Extra Wide.